If you’re a fan of newsreader apps, this news will be sure to increase your pulse. 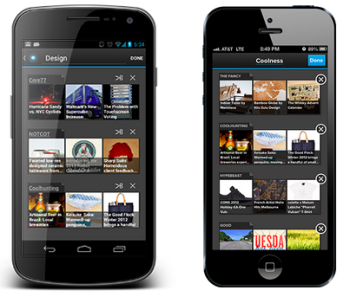 The popular newsreader app Pulse has just released version 3.0 for both the Android and iOS platforms. 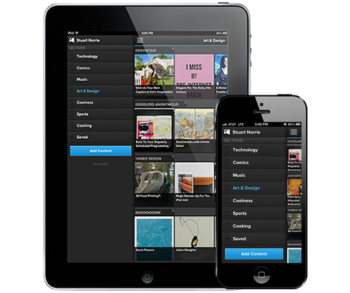 With it comes a completely redesigned interface, and a slew of new features. Firstly, Pulse is now a “universal” app, meaning it looks and feels exactly the same across all iOS devices, including iPhone, iPad, and the iPod Touch. If you have been using Pulse up until this point, you’re aware that it was already one of the most well-designed and beautiful-looking news apps around. The new design promises to keep the same streamlined interface it is known for, while adding a new sidebar and improved navigation. 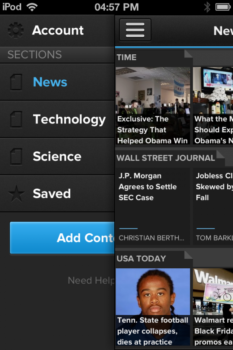 Swipe right or tap to see the sidebar, which brings together your pages, profile, and saved stories all in one place. Of course the new version is also optimized for the larger iPhone 5 display. The word “customization” is music to any newsreader aficionado’s ears, and Pulse now has plenty of it, in an easy-to-use format. Tap the “Edit” button at the top of the page to rename pages, reorder sources, and remove sources, “quickly and easily”, according to the folks at Pulse. So you just bought Halo 4. But are you reminiscing about Halo 3? The new “infinite scrolling” feature allows you to scroll back in time (through infinity and beyond!) on any of your sources. This feature falls into the “finally!” category, as many other newsreader apps have had this for a while now. Last but not least, one of the new version’s underrated features is the ability to “pin” as many sites and feeds to one page as you’d like. Previous to this version, there was a limit on the number of feeds per page. And no one likes to be limited! There are other new features too, so it appears this new version of Pulse is certainly a worthy update. For the comprehensive list, check it out on the App Store. 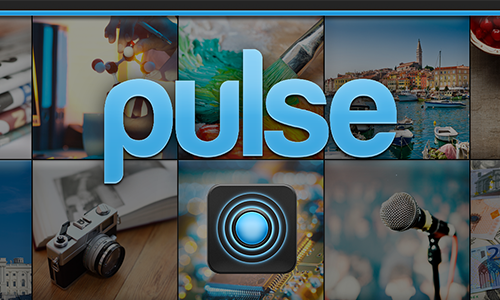 Have you checked out Pulse 3.0? 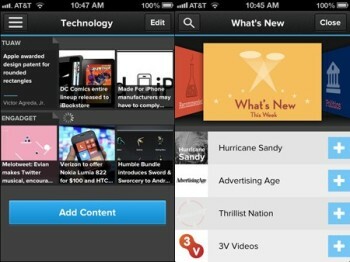 If so what did you think, and how does it compare to the plethora of other newsreader apps out there? Personally I’m still hung up on good ‘ol Reeder. Feel free to leave your comments below!